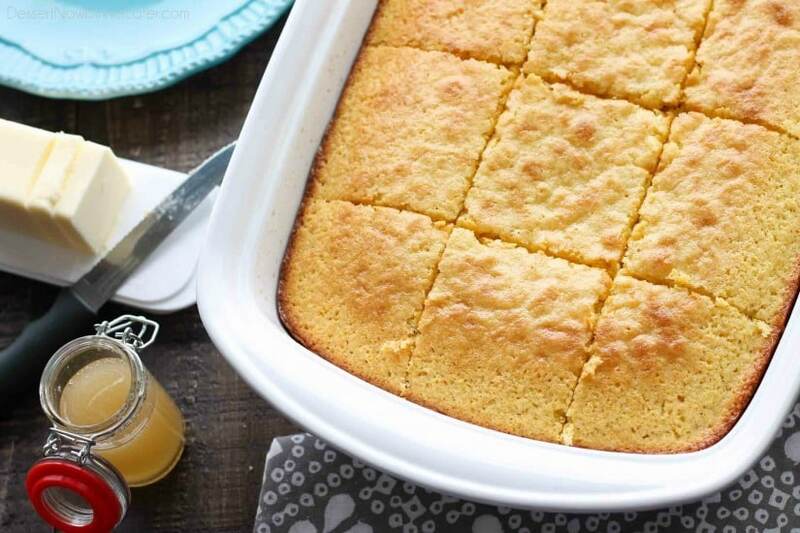 The BEST Sweet Corn Bread Recipe (+ Video) - Dessert Now, Dinner Later! 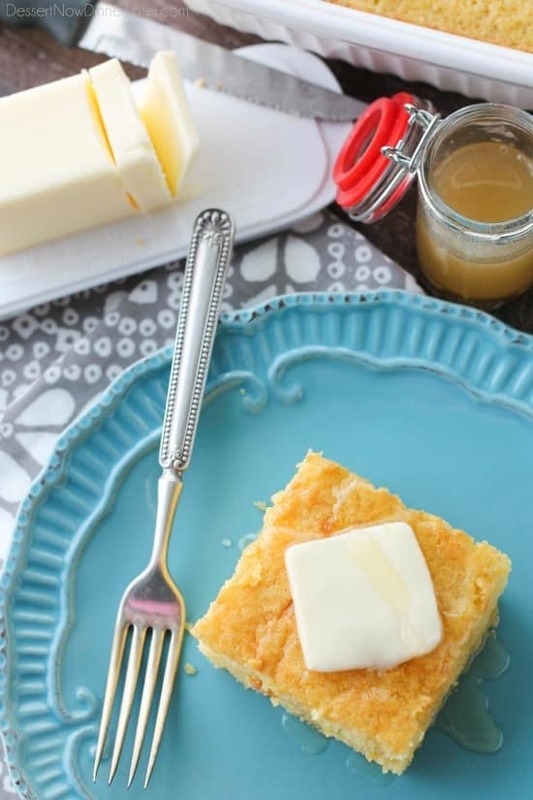 This is the BEST sweet corn bread recipe! It’s sweet, moist, buttery, and light thanks to an additional technique. It will quickly become your favorite sweet corn bread recipe! I’m so happy to finally be able to share this sweet corn bread recipe with you all! We’ve made it a few times, but it always gets gobbled up before I have time to photograph it, so I spent a day making a video of it, photographing it, editing everything, and here it is! This is THE ONLY sweet corn bread recipe you need from now on. I got it from my friend Sarah over at High Heels & Grills. 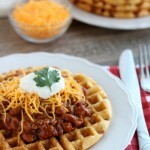 If you want more great recipes, be sure to check her out! 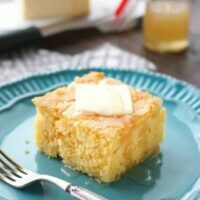 If you’re like me, you’ve tried several corn bread recipes. They all seem fine. You’ve pretty much given up on having a light, moist corn bread recipe, because “maybe corn bread is supposed to be dense and dry.” That’s what you have butter and honey for, right? WRONG! 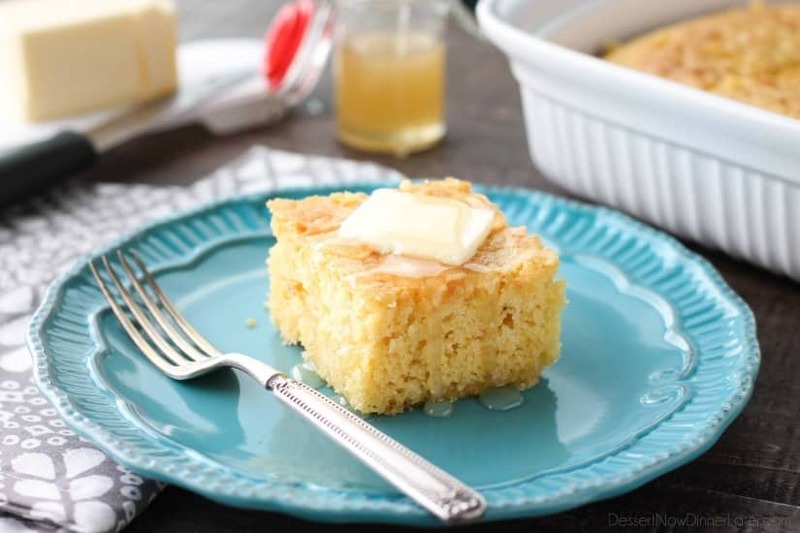 Butter and honey are mere accessories to this sweet corn bread. You really don’t even need it. If it weren’t for habit (and nice pictures) I wouldn’t even have put any on there. The trick to having a light and moist corn bread is folding in whipped egg whites for the light, fluffy texture, and using lots of butter and egg yolks for moistness. Of course you need a good amount of sugar for a sweet corn bread like this too. I just can’t say enough good things! I hope you get the chance to try this sweet corn bread recipe. Let me know if you do! 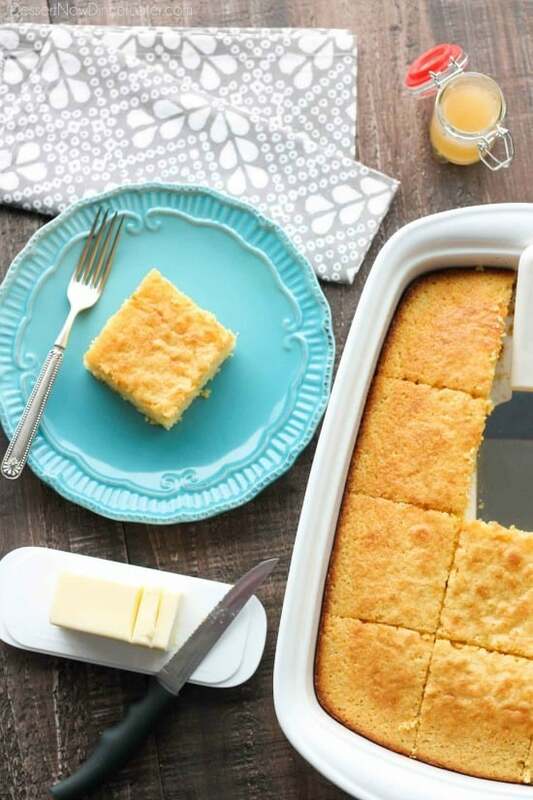 What’s your favorite thing to eat with corn bread? In a large bowl whisk together the cornmeal, flour, sugar, baking powder and salt. Set aside. 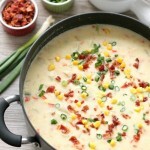 In another large bowl, whisk together the egg YOLKS, milk, vanilla, and butter. 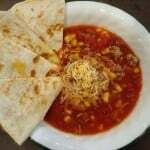 Add the dry ingredients to the wet ingredients and fold together until just incorporated. Whip egg WHITES in a stand mixer until stiff peaks form. Gently fold into batter. Pour batter into a greased 9x13-inch baking dish. Bake for 30-35 minutes, or until a toothpick comes out clean when inserted into the center of the cornbread. DO NOT OVER-BAKE! 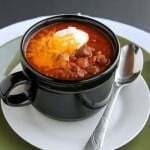 Best when served warm. Store in an airtight container up to 5 days. Hey Amber~ I’m tooling around the internet, making connections with fellow bloggers that are also attending EFC in May! This cornbread looks delicious! Doesn’t look too dense like a lot of cornbread recipes. Hope to meet you in May! Hi Heather! Thanks for stopping by and for your kind words. 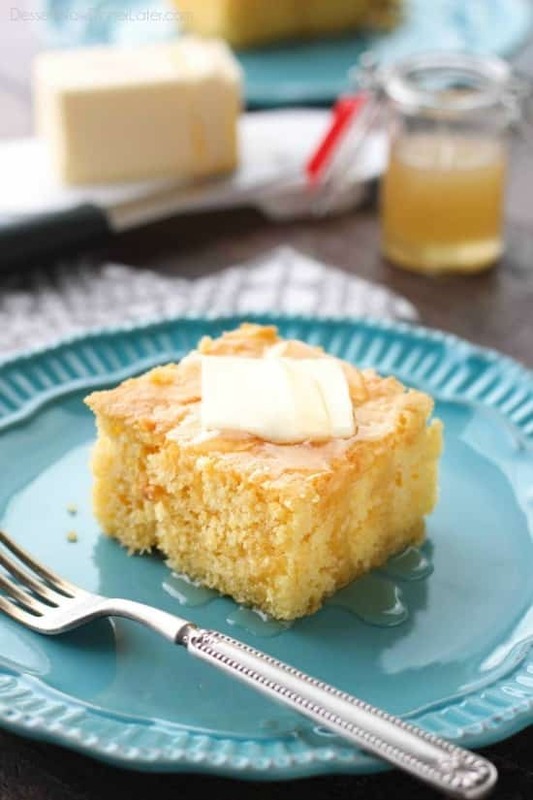 This corn bread is a LOT lighter than most corn breads. I hope you get to try it sometime. Video is definitely a lot of work and something I have a lot to learn about, but I just recently jumped in and am enjoying it. Hopefully we see each other at EFC! It will be so much fun!